I’m excited to bring you another two part episode on a topic that has plagued me in my first year as a plant parent: understanding natural light, and what the heck “bright indirect light” actually means. When figuring out how to do this episode, I knew I needed a lighting and plant expert who would give me the space to ask the simple questions to understand this complex topic. Enter Leslie Halleck. Leslie is a Horticulturalist by education and profession with a passion for plants and gardening. She has worked in many sectors of the gardening industry, from nurseries, to being the Director of Horticulture Research at the Dallas Arboretum and Botanical Garden to founding Halleck Horticultural, a consulting service for Green Industry businesses. Her book, Gardening under Lights; The Complete Guide for Indoor Growers, is the ultimate guide to understanding artificial lighting for indoor growers of any experience level. 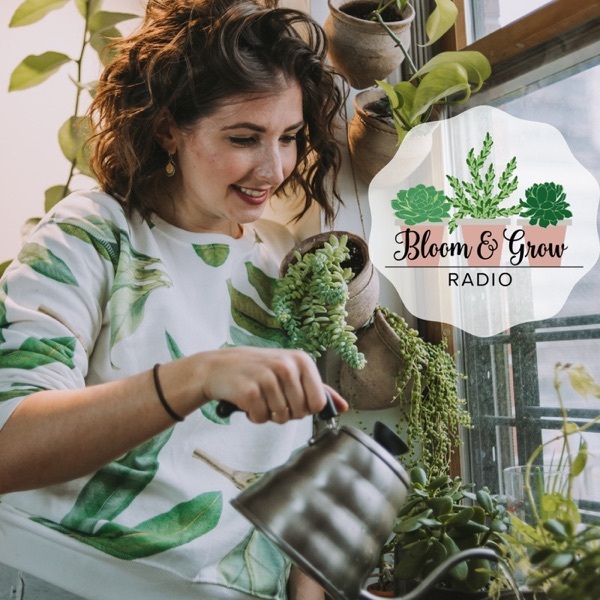 Leslie joins me to share her years of experience with houseplants and indoor gardening to ironically not discuss her vast knowledge of indoor grow lights, but to teach us about the basics of measuring our natural indoor light, to better understand out indoor environment, and whether we need to supplement with lights. Today’s episode is titled General Rules, next weeks episode is titled Measuring Tools. General Rules will consist of my lengthy conversation with Leslie about lighting basics, and how we can understand our indoor lighting environments without special or expensive meters. She also just imparts piece after piece or plant parenthood wisdom, and honestly teaches us a lot more than just how to understand light. Next week, in “Measuring Tools”, we will dive into the homework assignment she gave me, which involved me using a light meter on my phone to actually measure my surrounds, which gave me shocking “aha” moments. I hope this two part series helps uncover this tricky problem and helps you be more at ease and empowered about your personal indoor environments. In this episode we learn: - How Leslie came to be the lighting expert she is now - Measuring and understanding NATURAL light 101 - The difference between the volume of light vs the brightness of light - What PAR is and why it is important for understand our natural light in our apartments - The most brilliant metaphor for light that will make even the science inept person understand light, photons and photosynthesis - How the direction your window faces affects the amount of light in your apartment, and a good rule of thumb to live by - What the heck “bright indirect light’ actually is! - Practical steps to understanding “bright indirect light” for your specific surrounding - How many feet away from your windowsill does “bright light” turn to “medium light” and then turn to “low light” - Why we overwater our plants (spoiler alert… it’s often because of your lighting conditions) - If sunbeams that move throughout your apartments make a different for your plants - Why experimenting with plant placement and light is crucial Mentioned in this Episode: - Soltech Solutions Light, use bloomandgrow15 for 15% off on any of their lights at www.soltechsolutions.com - Lux Light Meter Pro App - Leslie’s Book, Gardening Under Lights; The Complete Guide for Indoor Growers Follow Leslie Halleck: https://lesliehalleck.com/ @lesliehalleck on twitter, pinterest, youtube, facebook Follow Bloom and Grow Radio @bloomandgrowradio on Instagram, www.bloomandgrowradio.com/garden-club to join the (free) online garden club!